Release Date: September 25, 2015 – U.S.
Every once in a while, it can be particularly satisfying to watch something that's nice for nice's sake. 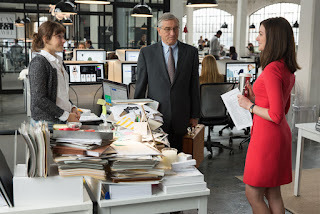 "The Intern" is a nice movie. That it stars Robert De Niro, who has made a career out of playing heavies and menacing characters, makes it all the nicer. 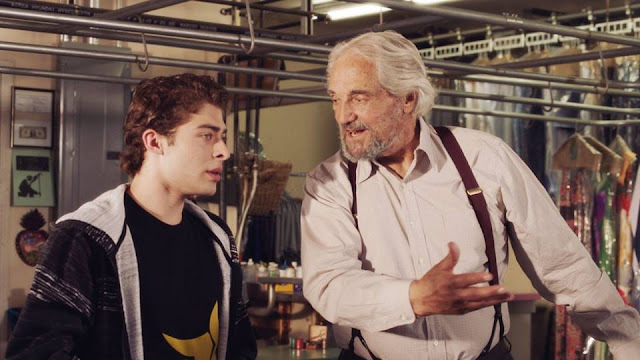 Ben (De Niro) is 70 years old and going back to work It's part of a senior internship program for an online fashion e-tailer, run by a successful young entrepreneur, Jules Ostin (Anne Hathaway). Except, Ostin barely recollects the conversation she had with one of her assistants, Cameron (Andrew Rannells), who pitched the idea to her in the middle of her chaotic busy schedule. It is suggested to Ostin that she work with one of the interns – to set a good example – but she balks and panics because she's not comfortable around older people. That's because of her mother (voiced by Mary Kay Place in phone conversations), whose response to "I love you" is usually something along the lines of "yeah" or "okay." You mean, that's not the proper way to address affection? I'll have to make a note of that. Of course, Jules doesn't have much for Ben to do at first. Of course, she's frigid and hard to reach in the beginning. Of course, everyone else loves him. And of course, Ben and Jules eventually are forced to get to know each other better. That the movie relies on these obvious tropes doesn't make the story or characters any less endearing. Predictability isn't always a bad thing. In this case, it gives the viewer something to look forward to and root for. There are various subplots: Jules's challenging marriage to a stay-at-home dad (Anders Holm), who handles all of the traditional "mommy" activities with their daughter (JoJo Kushner); pressure to bring in a more experienced CEO to run the company instead of her, similar to what happened with Steve Jobs and Apple early in its history; and a relationship between Ben and the company masseuse (Rene Russo). But the main focus here is – as it should be – on the hilarious and delightful interactions between the young boss and her much older intern. At one point, Ben wonders if he's still hip enough to live in Brooklyn. In its own quiet way, the film is a love letter to the city – as it was then and as it is now. Along similar lines, De Niro's character – with his pressed suits, pocket handkerchief, and sensible outlook on life – represents a sort of nostalgia for when "men used to be men." That concept is verbalized later in the movie during a passionate speech by Jules. There is one particularly silly segment – involving Ben and his much younger co-workers (Adam DeVine, Zack Pearlman, and Jason Orley), a mistakenly-sent e-mail, and "Affleck's brother" – that's not even remotely realistic or believable. But what the hell, it works anyway. It's funny – and (somewhat) true! Most of the humor, though, is much more subtle and sophisticated. 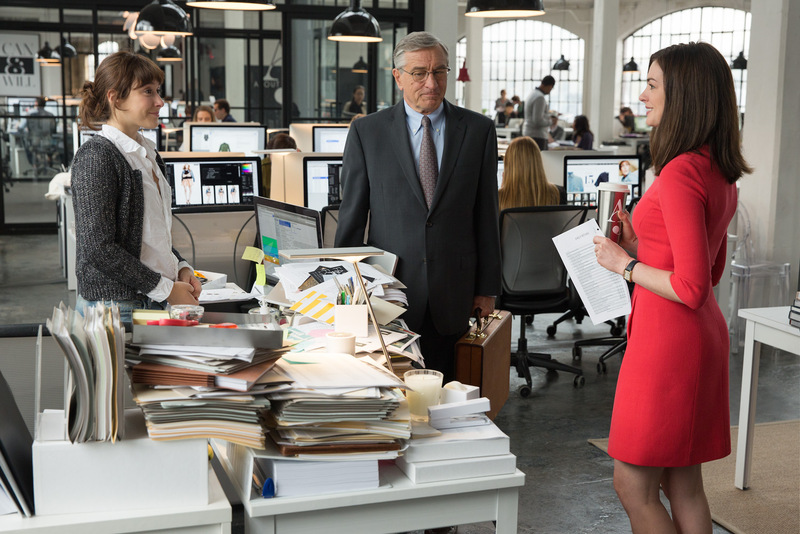 "The Intern" has many great lines and great laughs. It also has a big heart and wonderful performances. This is one of De Niro's best roles in years, and Hathaway continues to prove herself as a major talent. Writer-director Nancy Meyers penned a superb script. Great review. I enjoy Nancy Meyers and I look forward to watching this movie.